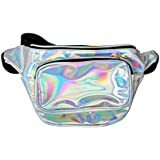 Sold by Cool-mall 2017 and Fulfilled by Amazon. Gift-wrap available. Thicken & Adjustable straps,comfortable to carry.Suitable for girls and women. #3,Thicken & Adjustable straps,comfortable to carry. I got this for my daughter and she love it! The design outshines other bags. Right size to fit her school supplies and lunchbag inside. 5.0 out of 5 starsBeautiful! Love it! 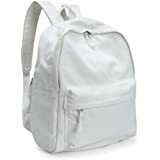 I love this backpack! 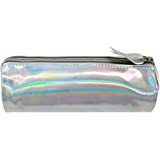 My favorite color is holographic/iridescent, so when I buy things this color online I fear it being more silver than holographic. 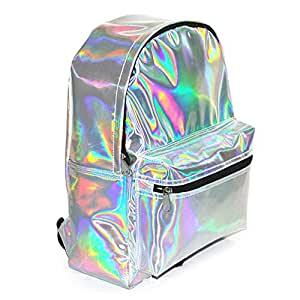 But no, this backpack is SO holographic. It shines rainbows on every curve. Good size, not too big, not too small. (Depending what size you're looking for.) Fits my folder, notebook and things. 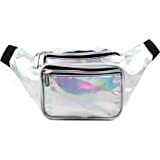 Inside there are side pockets of different sizes. And an inside zipper pocket. Great organization options. I love how roomy it is. I can fit my laptop and hat and scarf and everything. I have got lots of compliments on it! Although I knew it before I bought it I still wish that there are bottle holders on the sides.